With five games to go, Cristiano Ronaldo has an eight-goal lead over Lionel Messi and ESPN's projection model predicts the Argentine may well cut into the advantage of his great rival. Messi's Barcelona will be in action first, traveling to Deportivo La Coruna on Wednesday. Ronaldo and Real Madrid will kick off in the minutes following the conclusion of Barca's fixture, as Los Blancos play host to Villarreal. Last season, Messi scored a hat trick at Deportivo La Coruna and Ronaldo netted once when Villarreal came to the capital. 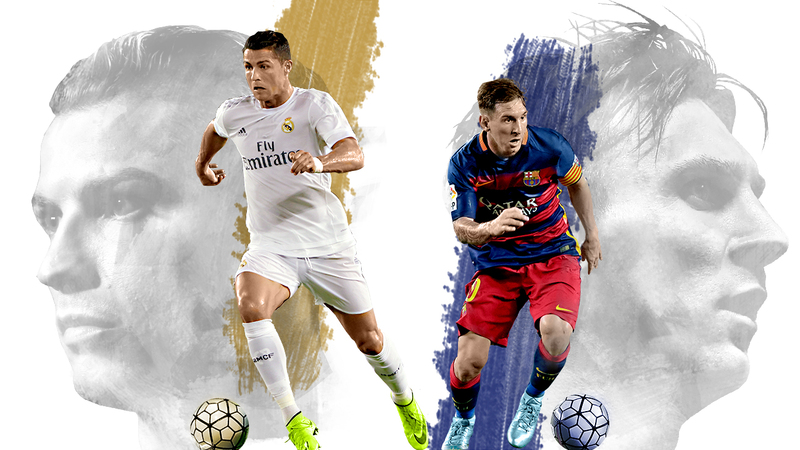 Ronaldo remains the strong favorite to win the pair's head-to-head scoring battle during the course of the season. Messi has 309 career goals in La Liga. Ronaldo has 256.